Category 4 Hurricane Irma Makes Landfall in the Florida Keys; Strongest Keys Strike in 57 Years when Hurricane Donna struck in 1960. A weather sensor on Big Pine Key east of Key West clocked a 120 mph wind gust. After long days of anxious preparations and waiting, Hurricane Irma has arrived in South Florida on Sunday morning, still a dangerous Category 4 storm even though Miami-Dade and Broward counties will be spared the worst. The Florida Keys, however, will not be so lucky: Irma’s eye made landfall on Cudjoe Key at 9:10 a.m. and the storm is expected to move northwest up Florida’s Gulf Coast. More than a million people are already without power in South Florida, and dangerous flooding and tornadoes are possible. Irma has restrengthened to a Category 4 hurricane, with maximum wind speeds of 130 mph, according to The Miami Herald. After blasting the northern Caribbean, deadly Hurricane Irma is now moving into Florida spreading destructive winds, flooding rain and inundating seas. "Unfortunately, there is no way the United States is going to avoid another catastrophic weather event," Dr. Joel N. Myers, founder, president and chairman of AccuWeather said. "There will be massive damage in Florida. 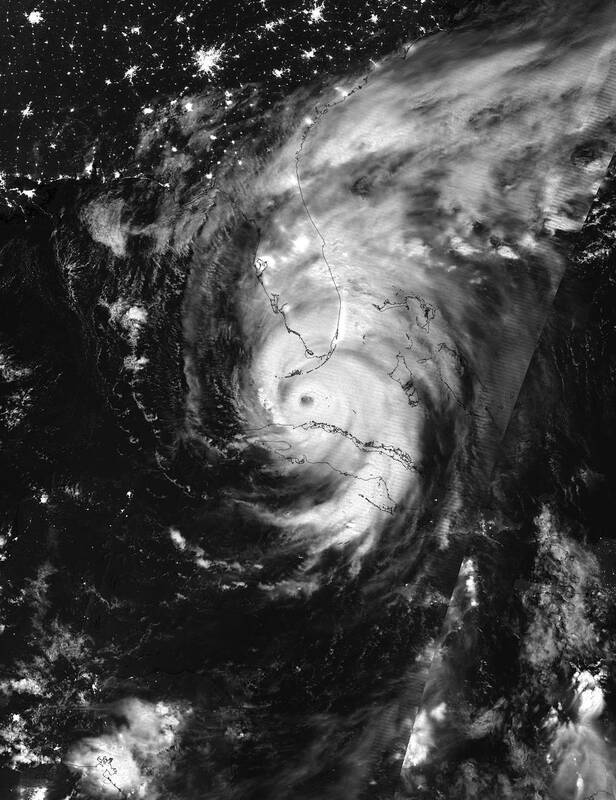 [It will be] the worst single hurricane to hit Florida in 57 years" Myers said. Irma is currently bringing severe and life-threatening impacts to all of the Florida Keys and South Florida and will spread those impacts farther north across the Florida Peninsula. Cities at risk include Tampa, Fort Myers, Naples, Sarasota and Miami. The NWS office in Key West warned of "swaths of tornado-like damage" possible in the eyewall that is currently hammering the Lower Keys. Storm surge in Key West has already topped 2.5 feet and should rise as water continues to pile into the Keys around the eyewall of Irma. A weather sensor on Big Pine Key east of Key West clocked a 120 mph wind gust around 9:38 a.m. Sunday.